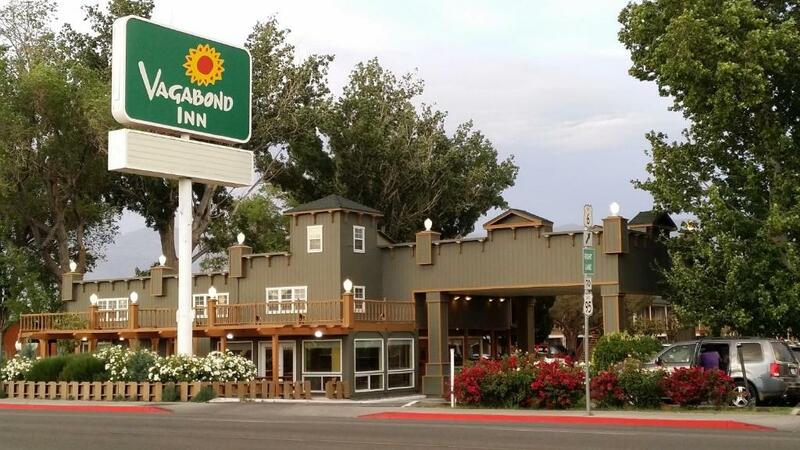 Consiga um excelente preço em Vagabond Inn Bishop - pontuação de 8,1 dada por hóspedes recentes. Limpeza; bom pequeno almoço; conforto e localização. 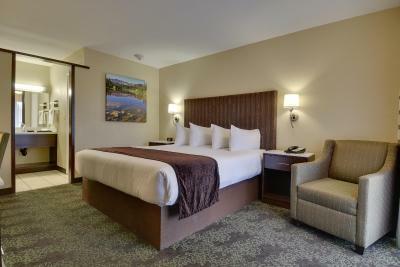 We tend to stay in a lot of "nice" places with great facilities. 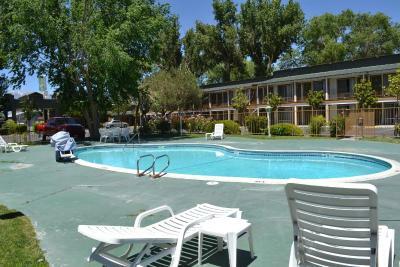 This is a cute older motel in the little strip-style development town of Bishop. 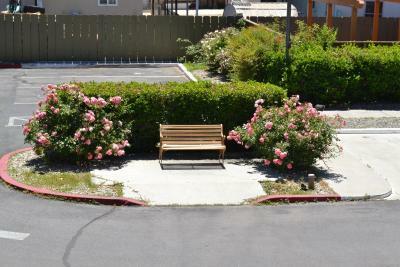 This was the lowest price we've paid for a night's stay in years, and that covers a multitude of sins, shall we say. It wasn't dirty and gross, and it wasn't unsafe. A bargain and a great place to launch into a camping or other outdoor excursion in the White Mountains. Solid basic accommodation - no frills. 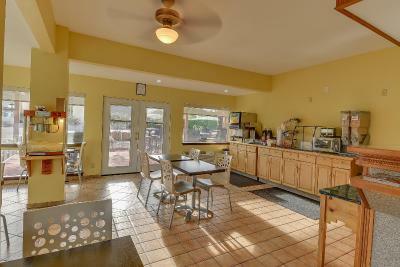 While the breakfast was nothing to write home about, the rooms were clean and the staff friendly. 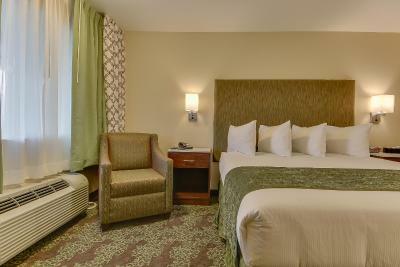 Convenient location, comfortable room, and friendly staff. 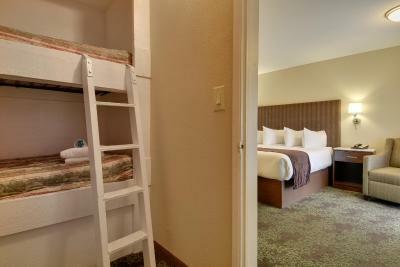 Very comfortable bed and clean room. One if the best hotel values we’ve experienced. The staff was very accommodating. I had arrived at 10am, and they made the effort to give me a room to check into. In addition, the lobby is manned 24/7 - I was able to check out at 4am the next day. "Limpeza; bom pequeno almoço; conforto e localização." 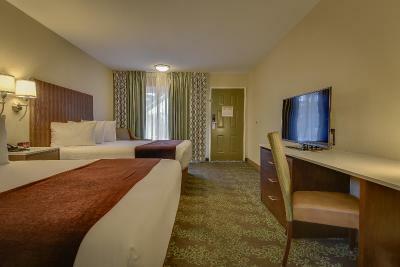 "We tend to stay in a lot of "nice" places with great facilities. 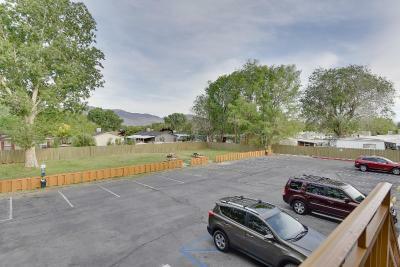 This is a cute older motel in the little strip-style development town of Bishop. " 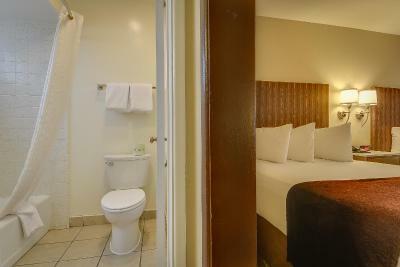 "Solid basic accommodation - no frills. 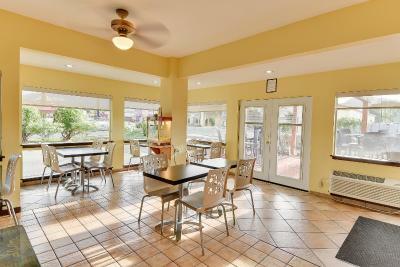 While the breakfast was nothing to write home about, the rooms were clean and the staff friendly." 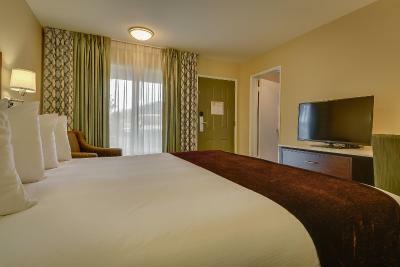 "Convenient location, comfortable room, and friendly staff." 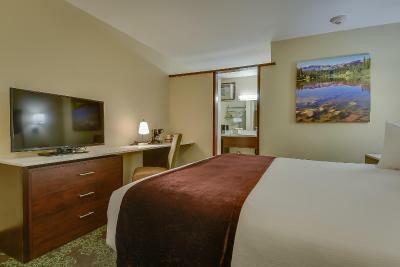 "Hotel staff, front office staff, room attendants, ice cube machine, location, easy in and out, the room, the bedding, quiet at nite, the parking,"
"Stopped on the way to Lake Tahoe. 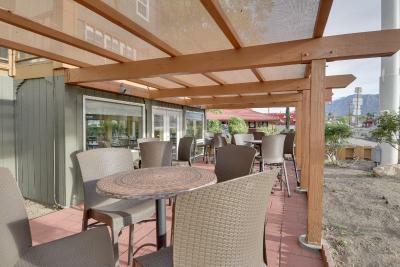 The staff were friendly, relaxed atmosphere, sufficient breakfast, great location and beautiful setting. Lovely small town with a rock climbing vibe. " 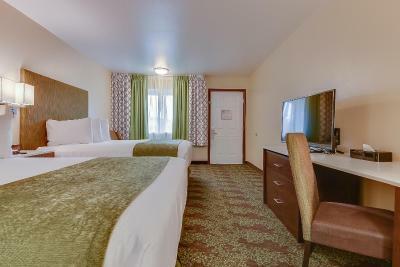 "Very comfortable bed and clean room. 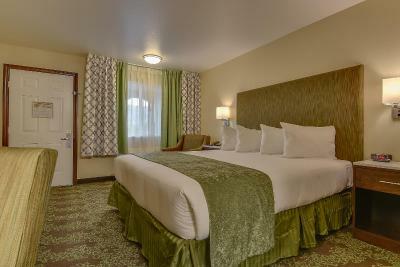 One if the best hotel values we’ve experienced." 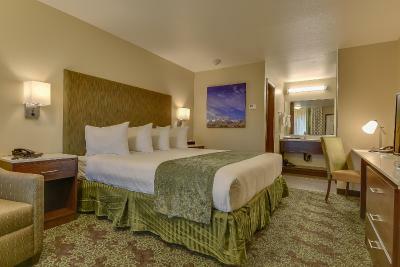 "My stay was excellent, the staff was wonderful room was very clean and quite I will definitely stay again. Thank you. JC"
"The hotel is clean and modern. 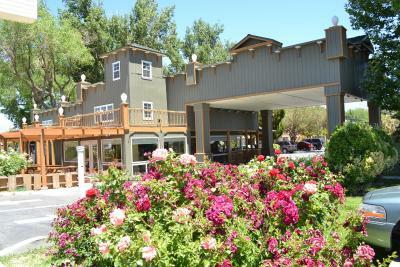 Breakfast is okay It s perfect for a one night stop on the way to Mammoth"
"The staff was very accommodating. I had arrived at 10am, and they made the effort to give me a room to check into. " 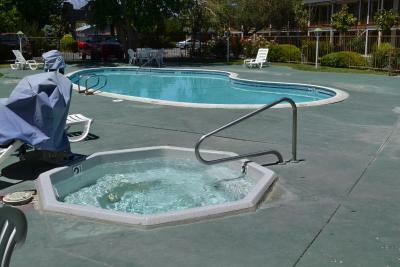 Um dos campeões de vendas em Bishop Located off Highway 395, Vagabond Inn Bishop offers a hot tub, serves a daily continental breakfast and has guest rooms with free WiFi. 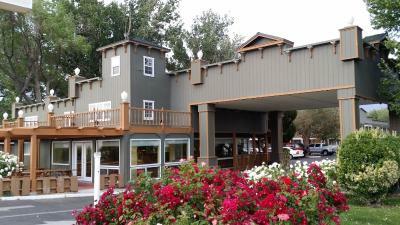 The Inyo National Forest is 70 miles southwest of this hotel. 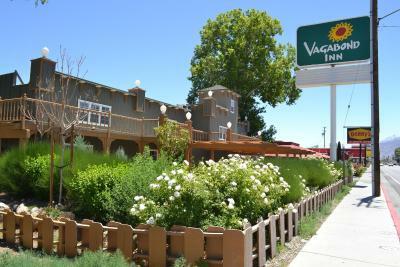 A TV with cable channels, a microwave and a refrigerator are offered in all of the guest rooms at Vagabond Inn Bishop. 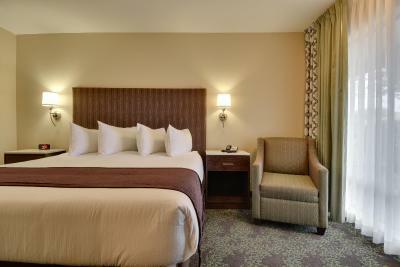 Comfortably furnished, each air conditioned room includes a coffee machine. 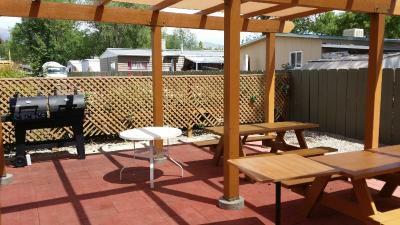 BBQ facilities are offered on-site at Bishop Vagabond Inn. Guests can stop by the business centre featuring fax and photocopying services and a guest launderette is available. 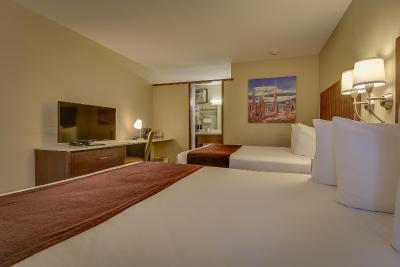 Paiute Palace Casino is 3 minutes’ drive from the Vagabond Inn. 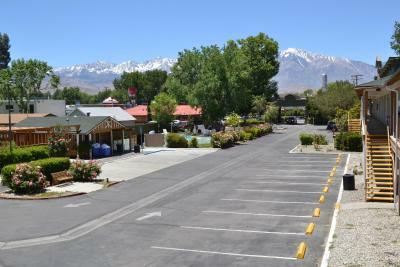 Bishop Eastern Sierra Regional Airport is 8 minutes’ drive away. Owens Lake is 78 miles south of this hotel. Este alojamento é recomendado pela boa relação preço/qualidade em Bishop! Os hóspedes têm mais por menos dinheiro em comparação a outros alojamentos nesta cidade. Vagabond Inn Bishop dá as boas-vindas a hóspedes de Booking.com desde 6 de Jan de 2010. Em que período gostaria de hospedar-se em Vagabond Inn Bishop? 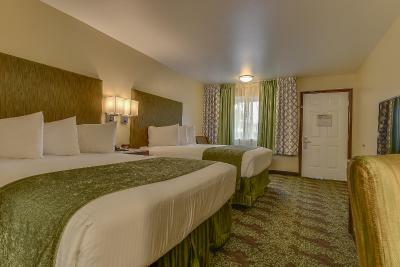 This room features free Wi-Fi, a cable TV, a microwave, a fridge and tea/coffee-making facilities. A continental breakfast is provided. Informação essencial Vagabond Inn Bishop aceita pedidos especiais -adicione-o(s) no próximo passo! Grátis! Até 3 crianças com menos de 17 ano(s): serão acomodados(as) sem custos adicionais pelo uso da cama existente. Mais todas as crianças mais velhas ou adultos: será cobrado USD 15 por noite, por pessoa pelo uso da cama existente. Vagabond Inn Bishop aceita estes cartões e reserva-se o direito de reter um valor temporariamente no seu cartão antes da chegada. Please note: The pool is temporarily closed. 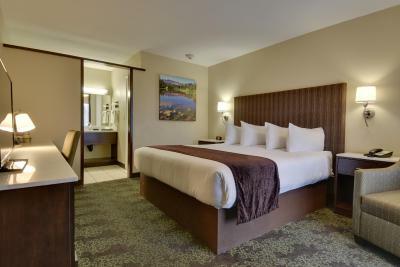 "We tend to stay in a lot of "nice" places with great facilities. 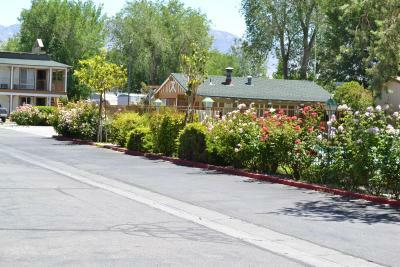 This is a cute older motel in the little strip-style development town of Bishop. 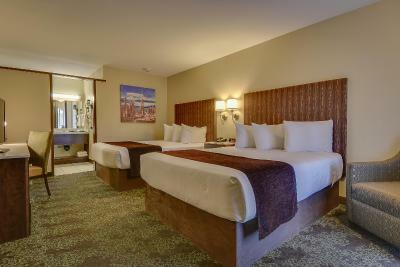 This was the lowest price we've paid for a night's stay in years, and that covers a multitude of sins, shall we say. It wasn't dirty and gross, and it wasn't unsafe. A bargain and a great place to launch into a camping or other outdoor excursion in the White Mountains." "Stopped on the way to Lake Tahoe. 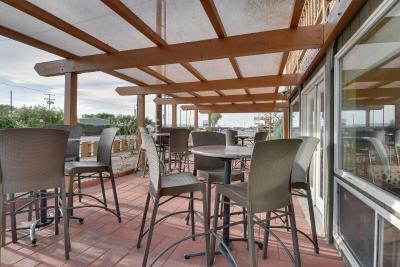 The staff were friendly, relaxed atmosphere, sufficient breakfast, great location and beautiful setting. Lovely small town with a rock climbing vibe. 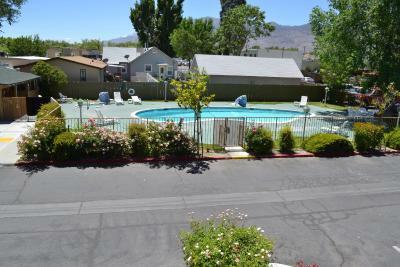 Would be great in summer too with pool and BBQ"
"The staff was very accommodating. I had arrived at 10am, and they made the effort to give me a room to check into. In addition, the lobby is manned 24/7 - I was able to check out at 4am the next day." Preço é alto para a acomodação que precisa de manutenção. Cheguei depois das 16h. O quarto que me deram não estava pronto. Retornando a recepção o atendente me mandou dar uma volta e esperar ao invés de me dar outro quarto, ou mesmo uma explicação. Bom para uma noite. Perto da entrada oeste do Yosemite para quem vai a Tioga Road. "Bom para viajantes em trânsito"
Café da manhã, cama, limpeza. Café da manhã simples porém excelente!